Escape the hustle of the urban life to this serene, high-country property with year-round Scott Mountain Creek running through it! At an elevation of around 5,000', the landscape is that of high-county majesty with tall trees and granite-boulder creeks. Developed camping area includes two storage containers that store camping basics for cooking, sleeping, and recreation activities in the area - the property is only 1/2 mile off the the Pacific Crest Trail, current owners have placed signs on the trail inviting hikers to visit and rest there, enjoying stories of the long trek from Mexico to Canada. 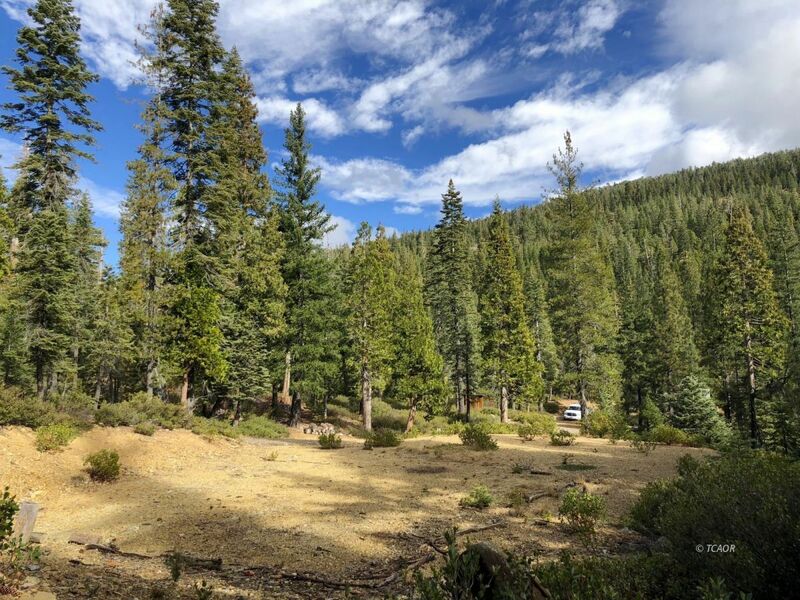 Water is supplied to camp by a Ram pump in the creek to a storage tank, and there's an outdoor shower and outhouse to make the camping experience a little more comfortable. Second flat area would be ideal for building a nice mountain cabin, all of this is accessed across the creek with a 100-year flood engineered bridge with easy access to HWY 3. Come enjoy a piece of serenity where you'll enjoy finding time to reconnect while you disconnect, take a hike, go hunting, star gaze, stack meditation rocks, stare at the camp fire, ride a mountain bike, bring the horses. Find your escape! OWC!